I have lived in Nebraska for more than 14 years now, and I am still awed every time that I drive north from Cozad into the Nebraska Sandhills. The ‘Sandhills’ epitomize “God’s Country” to me, and being there settles my soul. Part of that is the landscape, part of that is the people. The land is vast and beautiful. The people are compassionate, neighborly, honest, and have a work ethic that is second to none. They are the kind of people that you want your children to spend time with because they will learn great “life lessons” from them. One of my “jobs” at the feedyard that I enjoy tremendously is working with ranchers to improve the genetics and performance of their calves and the quality of the beef that they produce. I am my own “cattle buyer” which means that I work directly with ranchers who “birth” the calves so that we can trace our animals from birth to harvest. Most calves do not spend their entire lives on one ranch or farm due to both natural resource and financial restraints. However, partnerships like the one that I have created with Al and Sallie Atkins allow us to be “vertically collaborative” which ensures better animal care, the best use of natural resources, and higher quality beef. These cattle are “Age and Source Verified” which means that we can trace the calves back to the ranch of birth and their birthdate. In addition to being “Age and Source Verified”, these calves are cared for by people that are Beef Quality Assurance Certified throughout their entire life span. Both of these things are incredibly important to me because they ensure that my cattle receive high quality care, and produce high quality and “value added” beef. 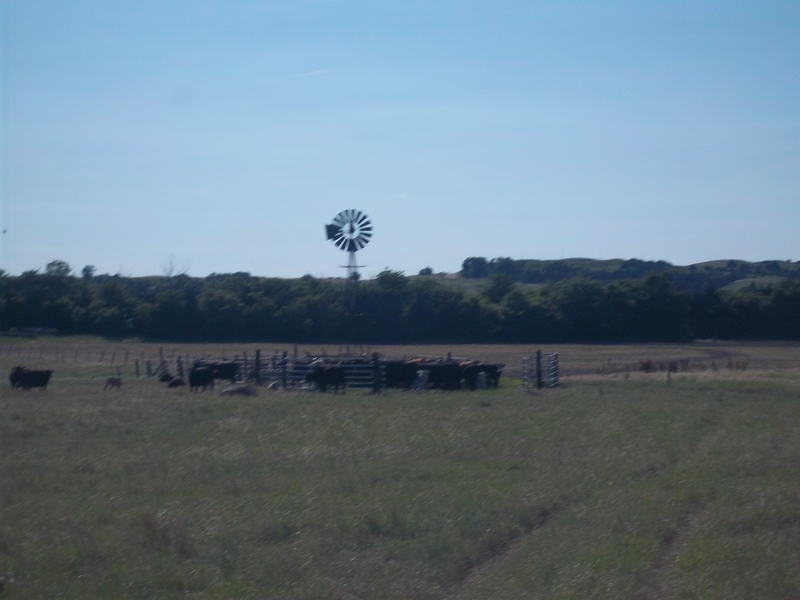 This also allows me to use the most current technology to ensure that my cattle are as efficient and healthy as possible which both diminishes the “environmental footprint” and increases the quality of my beef. The first ranch family that I ever worked with was Al and Sallie Atkins of Halsey, Nebraska. Almost, ten years later, we still make a great team. We collaborate together to constantly improve both the care that we provide to our animals and the quality of the beef that they produce. 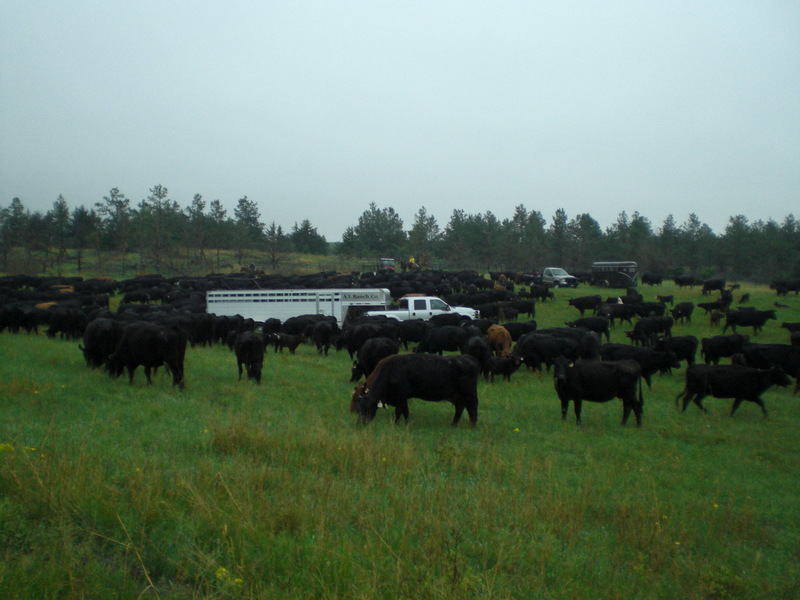 AL Ranch is nestled in the heart of the Nebraska Sandhills were cattle and wildlife thrive amidst a sustainable ecosystem. Part of the AL Ranch "Cow Herd"
It truly an honor for me to work with people like Al and Sallie, and we will continue to get to know them better as we trace one of their calves from “birth to harvest”. Tagged as Beef Life Cycle--Calf #718, Beef Quality Assurance, God's Country, Integrity, Nebraska Beef, Nebraska Sandhills, Where does your beef come from?